The American Freedom Defense Initiative is a Pamela Geller-led organization that seeks to inform Americans about the dangers of Islamic extremism. Among other things, AFDI has placed advertising on buses in several metropolitan areas that contain educational messages. Many Muslims regard these posters as dirty pool, because they are so unfair as to quote the actual words of respected Islamic clerics. Those are hateful words, to be sure: “Killing Jews is worship that draws us close to Allah.” They come from Hamas, and it would be impossible to overstate the evil of that organization. 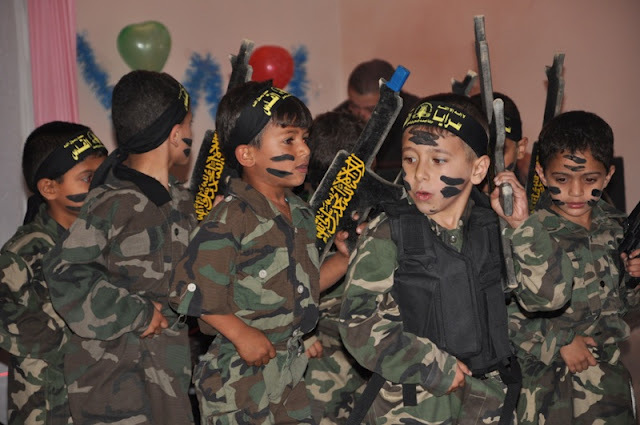 For just one example, check out this post on how Hamas teaches kindergarteners in Gaza. How hateful can you get? A controversy has been re-ignited this week as ten new ads go up on San Francisco Muni buses containing quotes used by terrorists. “Killing Jews is worship that draws us closer to Allah,” reads one of the ads, which has people debating the line between free speech and hate speech. Really? Is that a tough one? Hate speech is saying that killing Jews is worship, right? Several San Francisco city leaders, including District Attorney George Gascon, have condemned the campaign. Board of Supervisors President David Chiu said the American Freedom Defense Initiative is made of “well-known hate extremists” and said he is introducing a resolution at Tuesday’s board meeting to denounce the ads. This is one of the most perverse reversals of common sense ever. Praising the killing of Jews isn’t hate speech, that is perfectly fine! But exposing the fact that Hamas advocates killing Jews–that is “hate speech,” and “Islamophobic bigotry” which “good people” are obligated to condemn! And those who seek to let people know that Hamas views Jew-killing with unalloyed favor are “well-known hate extremists!” Members of Hamas and other jihadists escape any condemnation whatsoever; apparently they are just like Rotarians or Boy Scouts, or members of the Democratic Party. I can’t say this is the sickest news story ever, because the competition for that title is so stiff. But it is definitely a contender.